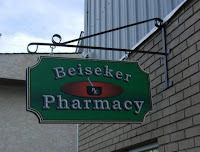 Today was Dave Fegan's last day as pharmacist at the Beiseker Pharmacy. 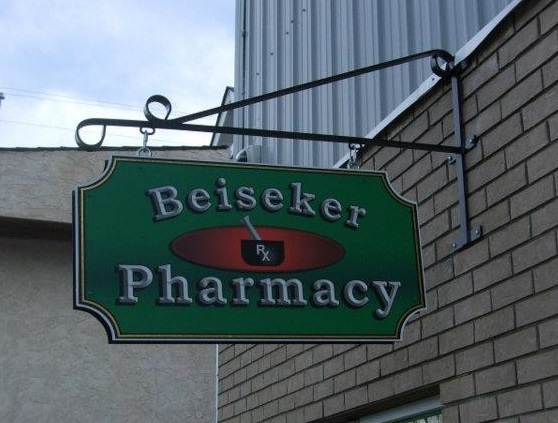 After 36 years as Beiseker's pharmacist, Dave has sold the drug store business and is planning to take life a little easier. The pharmacy will remain to serve us Beisekerites. The new owners will take over its operation next week. Dave has been an integral part of Beiseker since he and his family arrived here almost four decades ago. His pharmacy is part of the centre of our town. I and many others remember having a sick kid and Dave getting up to open the drugstore to fill a prescription in the middle of the night! Dave is active in the Beiseker Lions' Club and he takes part in many activities of that wonderful organization. 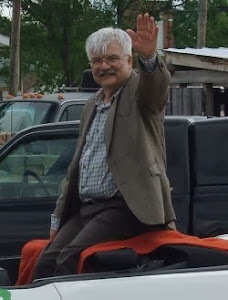 He has already retired from politics, having been a Councilor and Mayor of this great little village for more than two decades. In the political arena Dave and I have not always seen eye-to-eye. In fact, we've been involved in some pretty serious verbal debates over the years. The trouble is both of us know we are always right! Dave and I don't fight as much these days. Dave says it's because I'm seeing it more his way. I say it's more vice-versa. Despite our battles, I've always respected Dave's dedication and sincerity to his adopted village! I will continue to do so. Dave's not going anywhere! He and his family are staying in Beiseker, except for their annual pilgrimage to the warmer south! I dropped I today to congratulate Dave on a fantastic career as Beiseker's pharmacist and to wish him a great retirement. Excellent ICAS Convention this Year!